INDIANAPOLIS – Announced recently at Wheaton’s 62nd Annual Partnership Conference in San Antonio, Texas, Breda Moving Co., Inc. was awarded top agent honors as Wheaton World Wide Moving Agent of the Year. 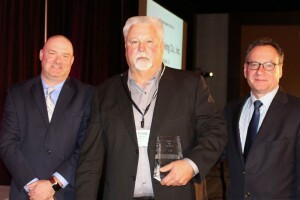 The award is given to the interstate agent for Wheaton World Wide Moving that exemplifies founder Earnest S. Wheaton’s philosophy of putting customers first and the characteristics of quality, professionalism, empathy for customers, fellow agents, drivers and Wheaton employees. Established in 1973, Breda Moving Co., Inc. has been a Wheaton interstate partner since 1991. 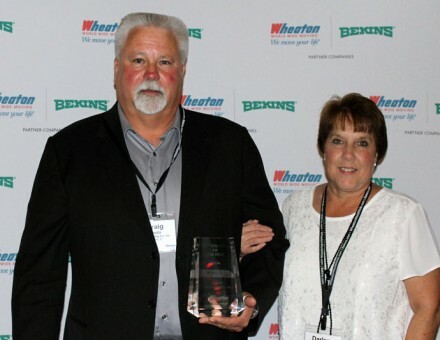 The family-owned and operated company has earned Wheaton’s Total Quality Commitment (TQC) award for quality performance every year since the establishment of the award in 1993. Breda Moving is a certified ProMover through the American Moving & Storage Association and is a member of the Illinois Movers’ & Warehouseman’s Association. Serving the Chicago area, the company offers 17,500 square feet of warehouse space at its main location at 805 Dave Pate Dr. in Roselle, Ill. Breda Moving can be reached at 630-894-0265, 800-668-3612 or online at www.bredamoving.com. Wheaton Van Lines, Inc. is one of the world’s most highly regarded providers of transportation services. Wheaton Van Lines now owns three household goods relocation brands, Wheaton World Wide Moving, Bekins Van Lines and Clark & Reid. The van line is now the fourth largest household goods carrier. Headquartered in Indianapolis, Ind., the Wheaton, Bekins and Clark & Reid brands offer private and corporate domestic and international household goods relocation services as well as special commodities and logistic services. The United States Military also is one of the company’s largest customers. Wheaton Van Lines, Inc. is partner to approximately 370 Wheaton, Bekins and Clark & Reid agents nationwide. To learn more, visit www.wheatonworldwide.com.